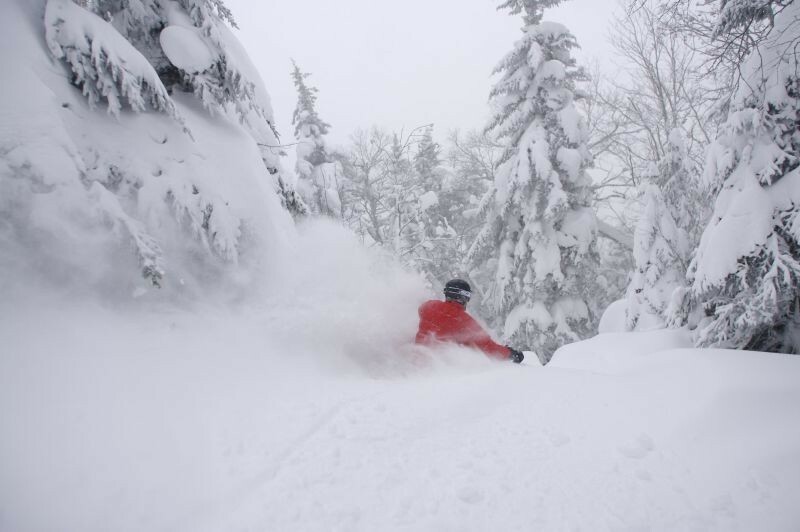 What are the ski conditions like right now at Jay Peak? Read commentaries and see photos from fellow skiers and riders sharing their on-mountain experiences. Check back daily for new user-generated firsthand reports from Jay Peak to see ski conditions, new snow and general stoke from the slopes along with images. Firsthand reports are submitted via the OnTheSnow Ski & Snow Report App. Download the free app to be part of the conversation. A little wet over the weekend (it rained) but probably as good as you’re gonna get in New England right now. Amazing conditions despite wind holds on flyer and the tram, powder lines all day long and dumping POW!!! Crowded and iced out by noon. Even the glades are skied out. Skied Friday and Saturday. very good conditions. How are conditions looking on trails and glades after the wind storm? Heading up this weekend! nice day at Jay Saturday. sun kept snow soft for most of the day. some icy spots as the day goes by. not too crowded. minimal wait at the lift. a nice day. Once again amazingly groomed all day with only some ice towards the end of the day. But overall fantastic! The glades were unbelievable! Heading up Sunday 2/23/19 on the fence about skiing Stowe or Jay do you think there will be rain?